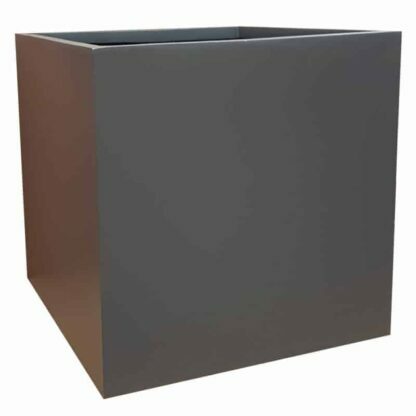 Our matte grey cube planter is made with fibreglass, specially chosen to ensure a high quality product for our customers. The matte grey fibreglass chosen for this cube planter is lightweight which ensures portability, and allows for easy transportation and repositioning to your desired location. The high quality of the matte grey fibreglass and manufacturing provides durability, which is supported by the sturdy and industrial, contemporary cube design of the planters. This allows for creative leeway with landscaping choices, as placement both indoors and outdoors is a feasible possibility. 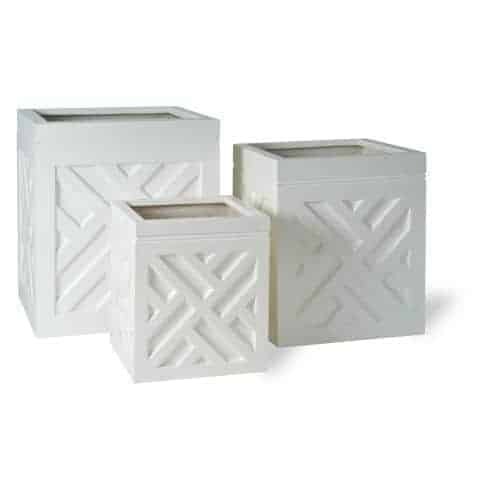 The weather and UV resistance of the cube plant pots, combined with the durable nature of the material and cubic design acts against outdoor weather conditions, and the compact cube design acts as a stable anchor against winds. The clean lines, and minimalistic matte grey colour scheme creates a neutral planter which can be placed in a variety of environments. From an open kitchen with marble counter tops, to a wooden garden patio, these matte grey cube planters would suit any already existing décor. 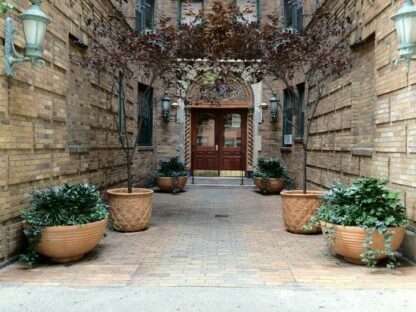 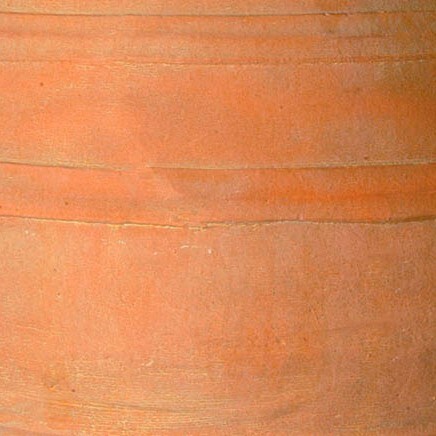 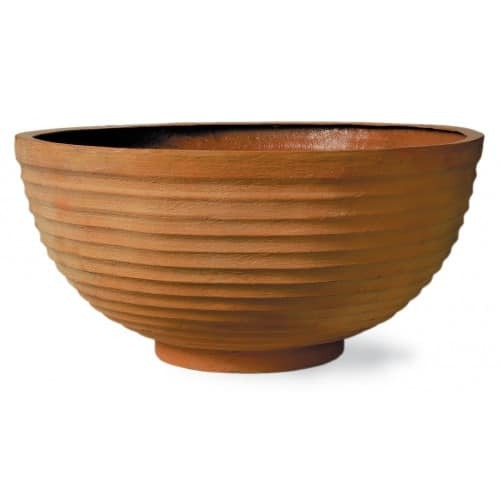 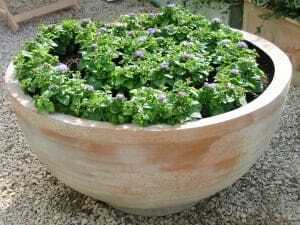 Equally, any waiting room, meeting room, or general building would benefit from a recurring series of these planters. 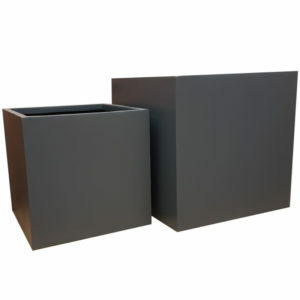 The sleek look adds to the suitability of placement of the matte grey cube planter in a diverse range of locations. 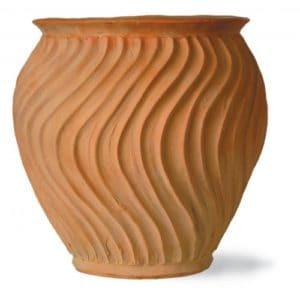 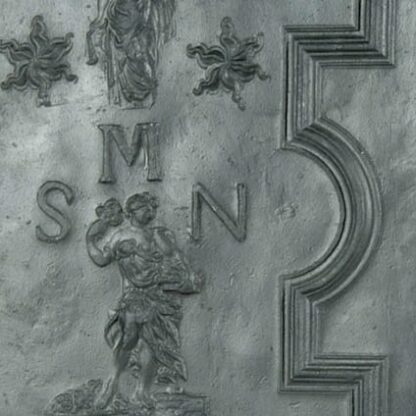 Perfect for uniting a room or space and adding a polished finish to any environment. The simplistic high class design adds an element of sophistication and exclusivity whilst remaining neutral and allowing for combination with a range of existing themes. 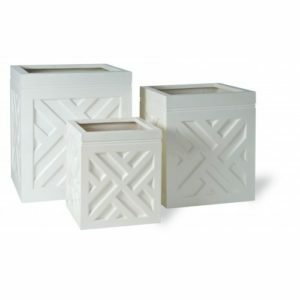 Perfect for flanking doorways and entry ways, the cube planters can be placed discretely to complement the layout of any space, or with purpose to create a sense of symmetry and draw attention to any desired focal point. Similarly, these matte grey cube planter can be placed in corners or be used as a consistent and complementary gap filler throughout high class buildings or in the home. 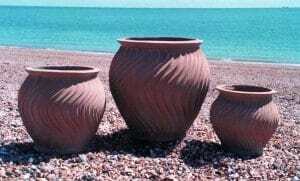 Alternatively they may be placed on platforms or used to anchor lollipop trees to create an aesthetically pleasing and professional, classy atmosphere, whilst incorporating a dynamic sense of life, essential and highly desired in the modern world, home, and work space.